Dahlia NEW RELEASE for BLOOM! Dahlia has released the Kahvy Set for BLOOM! These Spanish Bluebells will make an inspiring addition to any spring garden! Read the details here! Bauhaus Movement NEW RELEASE for BLUSH, now open!! The Audrey Set comes in two parts, a ravishing purse with Bento Holds! and The Audrey Gloves (classic hands)! An lár [Poses] for The Project Se7en! The Paulette Series comes with 5 standard and mirror poses, and the Fine Mini Series is available as the anniversary GIFT! 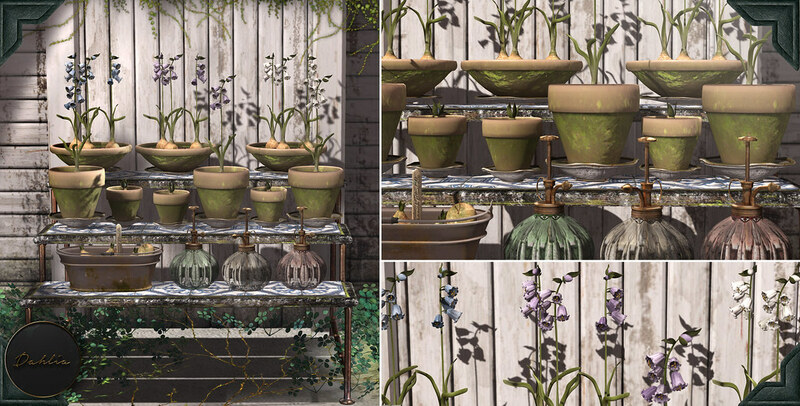 Dahlia New Release For FaMESHed! Dahlia’s latest cuff, the Kahlida, is a gorgeous 7pt intricate designed cuff that is 100% original mesh and comes with optional texture hud. Kahlida is now available for purchase @ Fameshed! Liaison Collaborative is turning the big 5!! 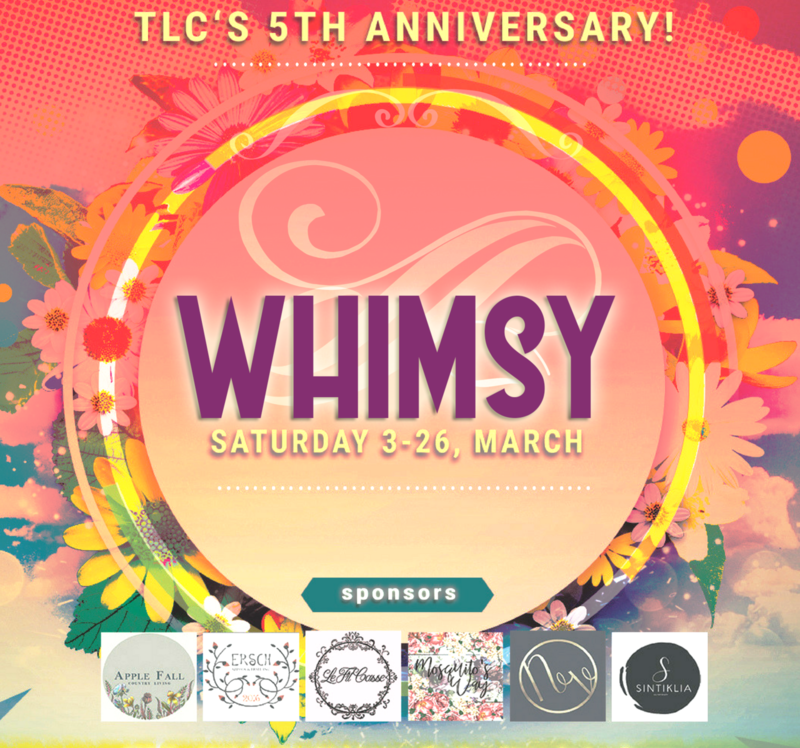 This March, we celebrate all things Whimsy! Along with a NEW OPENING DATE, March 3rd-26th @ 3pmSLT. Dahlia NEW RELEASE for Enchantment!